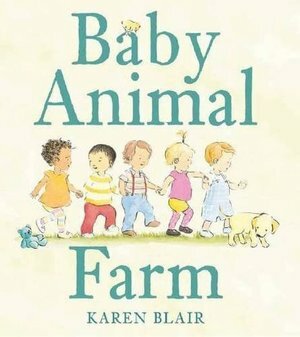 Toddlers will be happy to join in the quacking and chirping as five little friends explore the baby animal farm.Let’s go to the baby animal farm! Follow a group of toddlers as they traipse behind ducklings, chase the chicks, and feed the lamb. After a picnic lunch, there are more animals to cuddle and pat: Mew, mew, mew! Oink, oink, oink! Moo, moo, moo! Luckily the teddy bear that was lost is quickly found (thank you, puppy) before it’s time to go home. Perfectly pitched for the preschool crowd, here is an outing with sure appeal for little animal lovers.